The majority of this year's free agency was decided in the first week of the free agency. Hell, most of it in the first day. With the vast amount of players either resigning with their old team, or packing up and signing a new deal with a new team, the free agency pool has begin to empty. However, even though the first wave of free agents has been locked up, there still remains a hand full of forwards that could be useful for a team in need. Why haven't these players signed the dotted line? One major factor casts a shadow on each of them, their age. 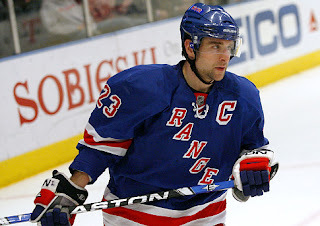 When looking at who remains on the free agent list, names like Chris Drury, Alex Kovalev, Mike Grier and John Madden stick out, however when looking over that very same list many can see there is not too many young fresh legs. Which raises the question. How much gas is left in these seasoned veteran's tanks? Here are a few reasons why teams should still be looking at these players even if they are a little older than most. Chris Drury, soon to be 35, is coming off an injury plagued season where he only played in 24 games, acquiring a dismal five points over that time. However, when healthy, Drury is one the most clutch players in the league, scoring a slew of last second goals through out his career. Just ask the Buffalo Sabres. Drury has a knack for the heroics, and if he can find his grove, which seems to be lost since leaving Buffalo, he could be a valuable depth center and leader in the locker room. Speaking of the Sabres, next is Mike Grier. At age 36, Grier is finishing out the second stint of his career in Buffalo. He played in 73 games last season producing 16 points, but the question still lingers. How much does he have left in the tank? If he still has enough gas, Grier is a great depth forward that can battle in the corners for days, and will bring a lot of veteran leadership to the locker room. Having played on both the East and West coast Grier has seen it all and could be a positive influence in a young locker room. Another seasoned veteran is three time Cup winner, John Madden. 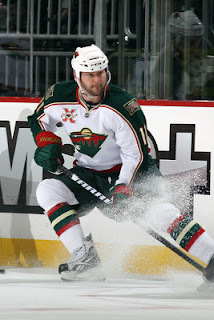 Coming out of a formidable season where he notched 25 points, in 76 games with Minnesota. Judging by those numbers it sure seems like their is still some air left in those tires. Madden has perhaps the most appeal when it comes to veteran leadership, being the oldest of the group at 38, and having won the most Cups. Madden can bring a surplus of leadership to a young team, along with filling a fourth line checker spot, along with grabbing a point every know and then. That's enough of an application for me. 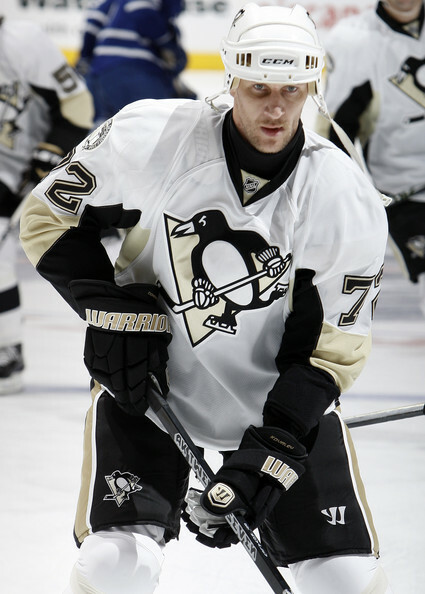 Along with Madden, Alex Kovalev is coming out of a season where he put up respectable numbers, 34 points in 74 games. However at 38 years of age, can Kovalev extend his career? Lets ask his 428 career goals. Yes! Have you seen what Kovalev can do with the puck? If he were to catch a second wind, his dangles could prove to be a good addition to a team looking for a third line forward. Although each of these guys may be inching towards retirement, I say each one of them has at least one more season left in them. Whether or not a team sees that as well and signs them is not up to me. Who would you sign? Sound off below.